There is a saying ‘it’s not how good you are it’s about who you know’. This statement couldn’t be more truthful and it is evident as many people have gotten to the heights of their careers due to being opportunists. An opportunist is someone who takes advantage opportunities regardless of any planning or principle. It is a necessity to take complete advantage of networking with those who are in your current field of interest and who are at the pinnacle of their careers. 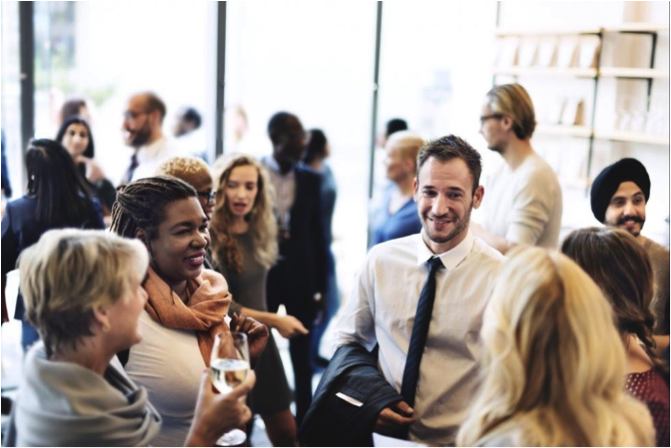 Attending events is a crucial part of networking. You are able to surround yourself with those who are like minded and you may also meet those who are ahead of you who can inspire you. Events can also provide useful connections which you can be utilised the future, so taking business cards and providing your email are vital. How can I find events? Look no further! Websites such as Eventbrite allow you to search for events in your area and filter this depending on your area of interest. You can also search for events via social platforms if you follow industry experts or popular social influencers. If you’re studying at the moment, you should make it your mission to tap into educational societies. At many universities and colleges there are resources available at your disposal. Societies are a great way to network and expand your future contact lists once you graduate or move onto other ventures. Depending on your career sector, you should research into any professional bodies that you can tap into. Joining accreditated societies such as ‘The British Biology Society’, will offer opportunities to attend events/conferences exclusive to them. Connect with professionals in your desired field and shows employers your extended interest. LinkedIn is an employment and business social networking hub for every working individual. It is a great way to connect with professionals and companies directly. Thousands of active users have successfully used it to secure jobs and networking opportunities. Lastly social media, the holy grail of communication in the digital age! Research to see if there are networking forums available and request access. This will unlock opportunities for you to discuss popular topics and network with other professionals. I hope these tips help you to network. Remember, when you make a connection make sure you keep in contact to make use of it, good luck!